When it comes to choosing my favorite Ngoc Lan songs, I must say that there are so many. Here are some of the songs that weren't as popular that Ngoc Lan had recorded, yet are some of my favorites of all time. 1/ Hai Loi - This was a song Ngoc Lan had recorded on an album entitled Trai Sau Dau, which was a collection of songs written and composed by Hoang Thuong Dung and Chau Dinh An. There were quite a few great tracks on this album, as it had featured some of the biggest names among overseas Vietnamese singers at the time such as Khanh Ly, who had recorded the title track in addition to a duet with Chau Dinh An on another track, Elvis Phuong, Huong Lan, Le Thu, Duy Quang, Thanh Thuy and Nhu Mai. Of course, Hai Loi recorded by Ngoc Lan would be my favorite track from this album. The way she had delivered this song was as close to perfection as one could possibly get. She gave a really heartfelt and clean performance with her vocals here. No music video was made for this song. However, there is a website where this song is accessible, NgocLanSinger.com. 2/ Duong Ve Son Cuoc - Produced and released by Ngoc Minh, this is a pleasant tune Ngoc Lan had recorded on an album entitled, Nu Cuoi Son Cuoc, in 1988. 3/ Hoa Lan - Ngoc Lan had recorded this album for Doi Magazine in 1987. This was featured on a compilation with various other artists that included Jo Marcel, Kieu Nga, Huong Lan, Hai Ly and Lynda Trang Dai, entitled as Da Vu Bien. 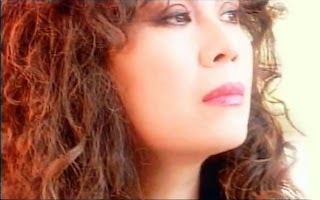 4/ Ao Anh - This popular tune that was written by Y Van was recorded by Ngoc Lan in an album produced and released by Da Lan in 1987 entitled as, Da Vu Nho. 5/ Ngat Ngay Ben Anh (Je M'envole) - Ngoc Lan had recorded this French classic originally made popular by chanteuse, Nicole Rieu, on an album produced by Trung Hanh for Nguoi Dep Binh Duong, entitled as Nhac Phap Tru Tinh - Les Chansons D'amour in 1988. This album included a compilation of various artists such as Elvis Phuong, Julie (formerly known as Julie Quang), Minh Xuan, Kieu Nga and Trung Hanh. 6/ Gui Em Hanh Ly - A heartfelt song that had touched the hearts of many Vietnamnese-Americans on the topic of being away from their homeland, Ngoc Lan did an excellent job with this recording. A television music video had been made for this song on Vietnam Performing Arts Television. This song had been produced and released by Da Lan. Today, this song is available on YouTube. 7/ Phu Du - Written by Phan Kien, Ngoc Lan had recorded this song on a duet album with Duy Quang, Bien Mong, released by Kim Ngan Productions in 1987. 8/ Bong Nho Giao Duong - This is one of those classic songs written by Phuong Linh that Ngoc Lan had recorded that I could listen to over and over again and never get sick of. Luckily, this song is available today on YouTube. 9/ La Derniere Valse - Ngoc Lan did an incredible job covering this Mireille Mathieu classic on Asia Productions Volume 7 Da Vu Vang. As with most of the earliest compilation albums produced by Asia Productions, on this album Ngoc Lan would be in the company of other great French-language Vietnamese singers such as Julie, Kieu Nga, Elvis Phuong, Minh Xuan and Billy Shane, who had often recorded French songs as part of a duo with Duy Quang. There was one thing different that had set this particular album apart from all the others produced by Asia Productions during the time. And that was, all of the tracks were linked together, a feature called non-stop dancing, which made it sound like one long medley of six different songs bunched up together on each side of the audio cassette. This made it a pain if you had wanted to pick out only some of the tracks on this album to record onto a blank cassette of your own personal favorite songs. I know that making such copies were technically in violation of copyright laws since they would be considered as unauthorized duplications. But who didn't do that back then? And besides, we weren't turning around and selling these songs after copying them onto a blank cassette. This was just a way of weeding out the good tracks from the not so good ones, which was often the case in many of these compilation albums featuring various artists that were out in the market back then. By the way, this song is now available on YouTube. 10/ Thang 6 Troi Mua - Diem Xua Productions had produced this song recorded by Ngoc Lan. Too bad no music video had been made for this song. I think she did this song better than anyone else. There you have it. These are 10 of my personal favorite songs recorded by our beloved Ngoc Lan. Tell me some of yours.